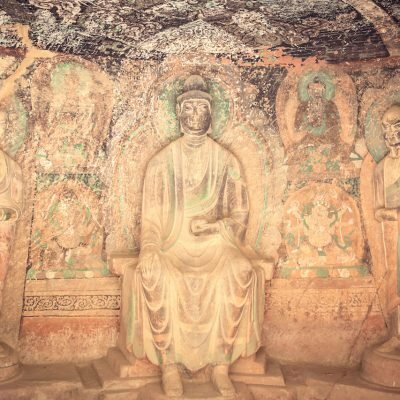 The Bingling Temple (simplified Chinese: 炳灵寺; pinyin: Bǐnglíng Sì) is a series of grottoes filled with Buddhist sculptures carved into natural caves and caverns in a canyon along the Yellow River. It lies just north of where the Yellow River empties into the Liujiaxia Reservoir (劉家峽水庫; Liújiāxiá Shuǐkù). 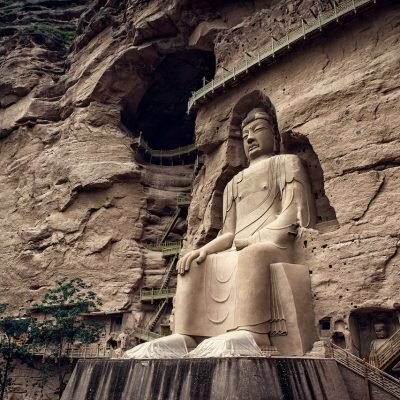 Administratively, the site is in Yongjing County of Linxia Hui Autonomous Prefecture in Gansu province, about 100 km (62 mi) southeast of Lanzhou.